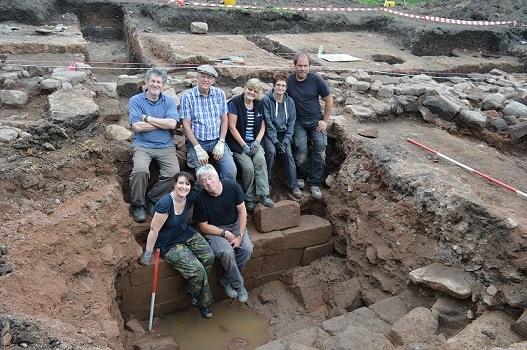 The 2016 season saw the last fieldwork led by grampus Heritage under the Solway Heritage Landscape Partnership scheme. 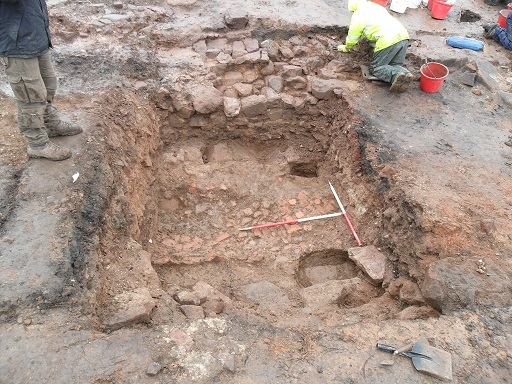 This would also tie up 8 years work carried out by the West Cumbria Archaeology Society at the site. 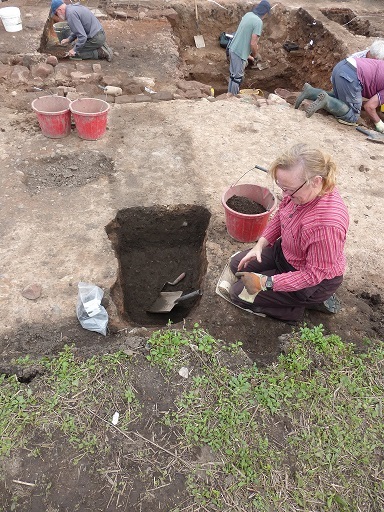 One of our aims was to investigate the vegetable garden in the south west corner of the field, which was trench 1. 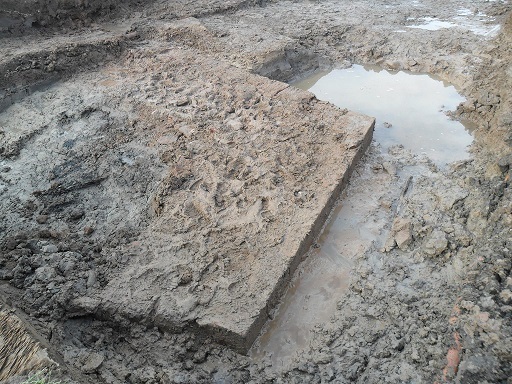 This trench was located immediately to the west of our 2015 trench 2, where we uncovered a very well preserved building. The water cistern (found in 2014) associated with this building was fed by two culverts. The south culvert was carrying a lot of food waste and our trench in the vegetable garden aimed to detect this culvert and investigate the relationship between it and the large north/south culvert which still runs behind mill grove. 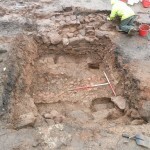 Trench one was located in the south west corner of the field in an area used as a vegetable garden. 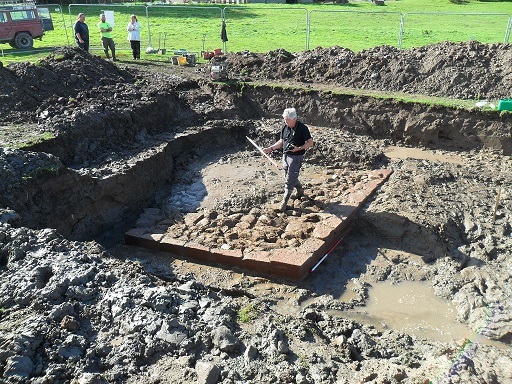 The aim was to investigate the water supply to the cistern excavated in 2014 and 2015. 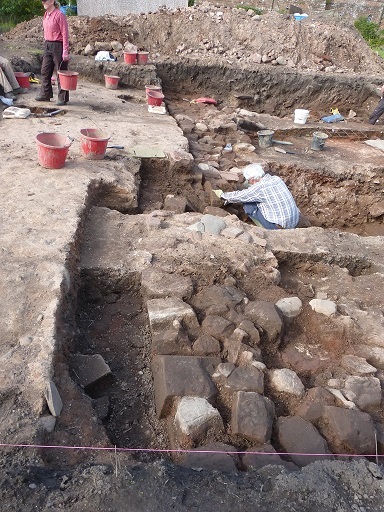 Trench one uncovered the west wall of a range of buildings on a north west/south east alignment, continuing beyond the excavation area. The wall aligns with an extant section of wall incorporated into the fabric of Mill Grove. On a parallel alignment to the east of the wall the main drain of the monastery was recorded. 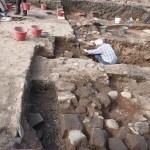 Although the upper side walls and caps had been removed and backfilled with rubble, the lower section of the drain was in a good state of preservation, though too deep to fully excavate. The estimated original depth of the drain below capping stones is 1.8m and this may be the source of local legend that a tunnel leads from the church to the farm. The source of the water supplying the drain to the north west is not known and should be the subject of future research. 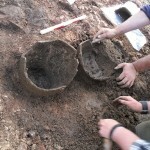 Trench 2: For the first time we excavated in the lower part of the field. Trench 2 was located on a geophysical survey anomaly, initially interpreted as a ditch, in the south-eastern part of the field. 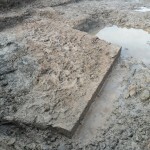 The trench targeted an apparent break in the ditch to determine if this was an entrance or if the anomaly was the tail race from the Abbey Mill known to be located at Mill Grove. 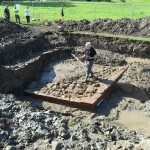 Excavation revealed that the anomaly was caused by archaeological material deposited on the north bank (Abbey side) of a deep-water channel. In the eastern part of the trench a sandstone jetty was recorded, protruding into the channel from the north, with two large timbers at the south end. Although no sapwood was present, preventing an exact felling date, the dendrochronology sample sent to Queen’s University Belfast gave an estimated felling date range in the latter part of the twelfth century. 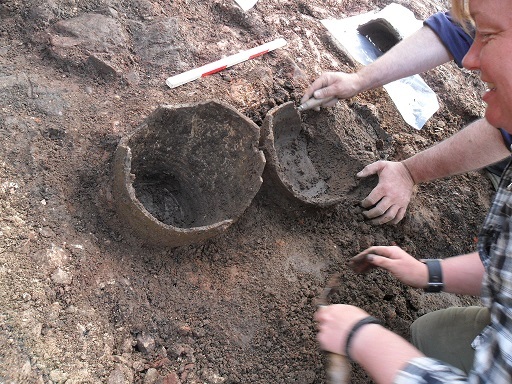 This correlates well with diagnostic pottery from the lower deposits on the north bank. 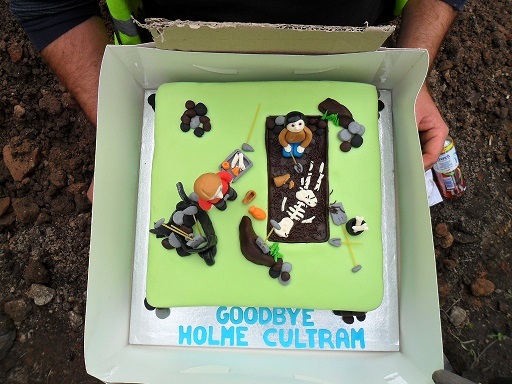 Trench 2 has transformed our understanding of Holme Cultram within the broader landscape. 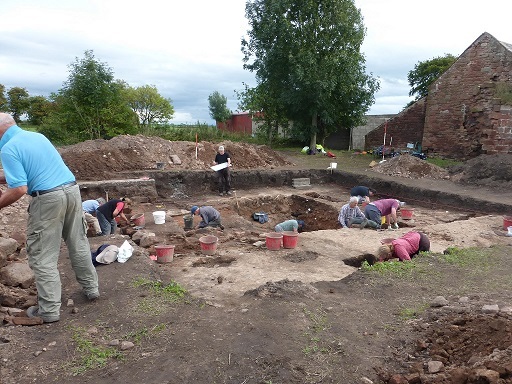 The excavation revealed that a channel of the River Waver ran very close to the monastery and, utilizing the tidal flow, was used to transport materials and goods between Holme Cultram and the sea port at Skinburness. 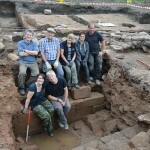 Many thanks to our volunteers who turned up on this final Hidden Heritage excavation. Without their enthusiasm and dedication, this project could not have gone ahead. 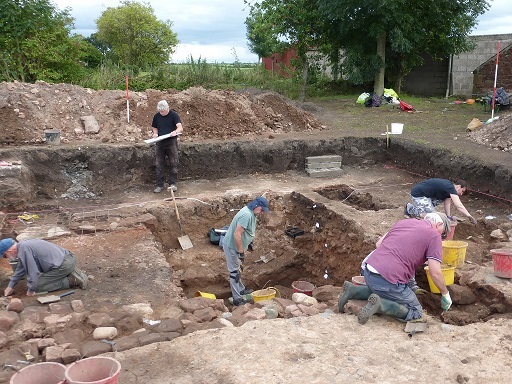 Throughout the first excavations and these last 3 years, we have added more to our knowledge of the abbey site, though there is still plenty to be investigated around the area. The final report is due to be uploaded soon and will be available as a download from the top of the page. 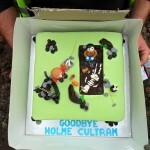 Many thanks to Ian Thomson and Ken Needham for providing some of the photos below.